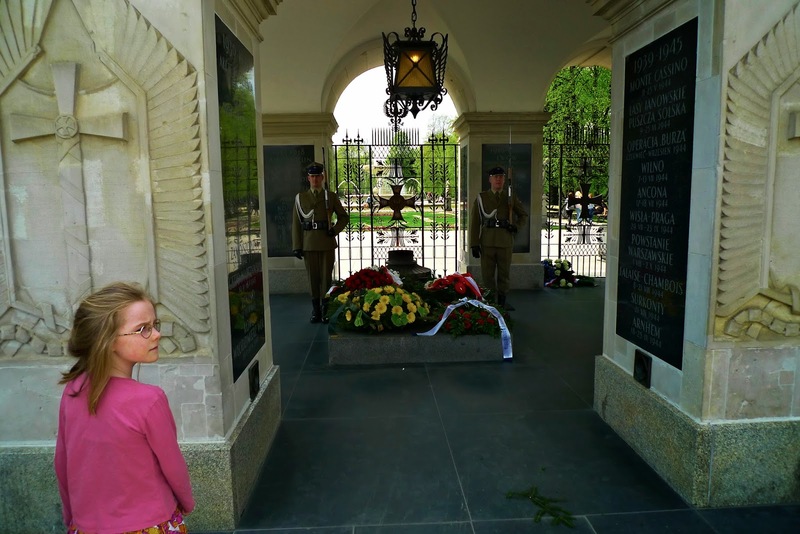 Many Australians would find it surprising perhaps to discover that an Anzac Day Service has taken place here in Warsaw for some years. 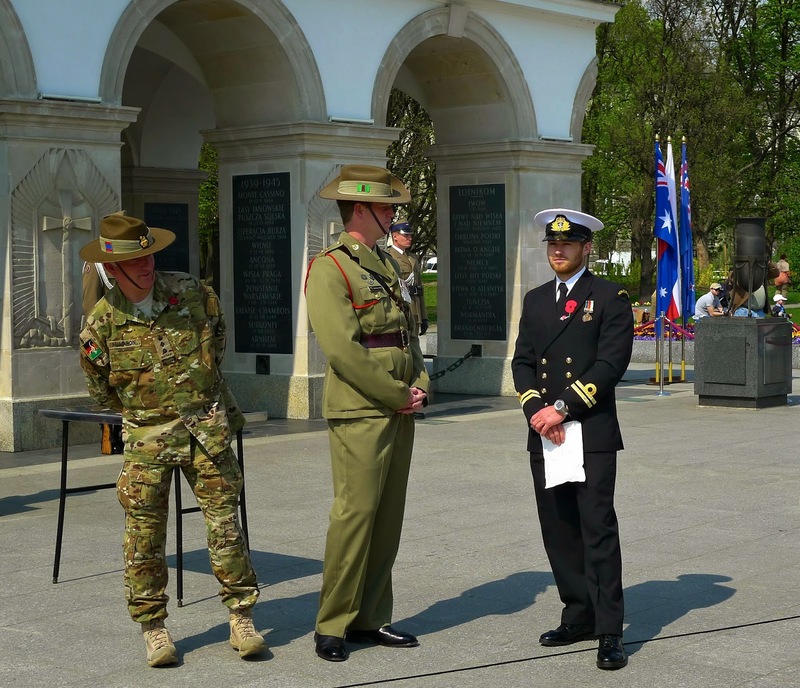 To commemorate the 100th anniversary of the landing, the Embassies of New Zealand and Australia, with support from the Warsaw Garrison, held a Service of Remembrance at 1145 hours on Saturday 25 April 2015 at the Tomb of Unknown Soldier, Pl. 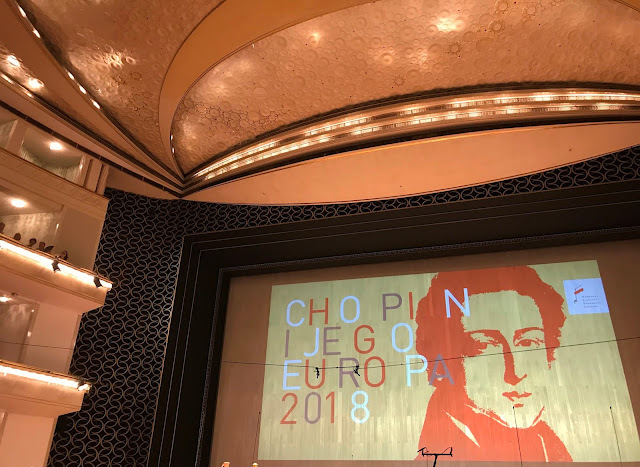 Piłsudskiego in Warsaw. 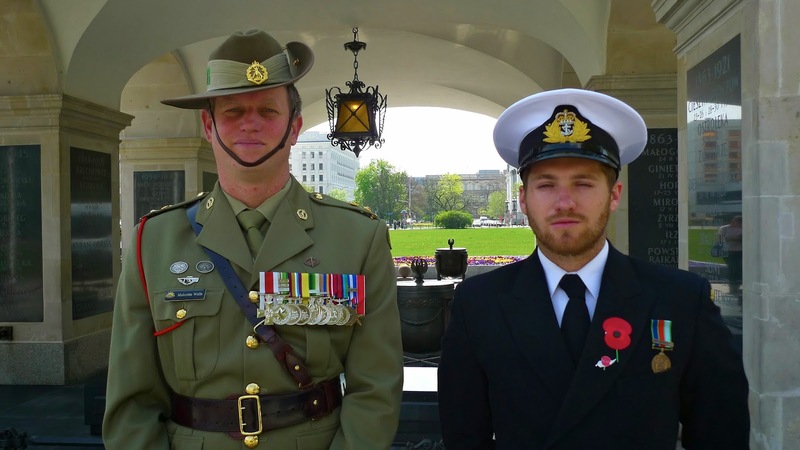 I have always felt that the broad notion of 'allies betrayed' has bound Poles, Australians and New Zealanders together in spirit however complex and many-sided the actual historical truth. The three nationalities, allies in war but apparently so different, share a love of risk, a healthy disdain for authority, a sense of comradeship and committed emotional sentiment in many campaigns of war which required formidable heroism against impossible odds. In fact during World War II Poles, Australians and New Zealanders fought side by side at the appalling Battle of Monte Cassino. The Polish Independent Carpathian Rifle Brigade fought alongside Australian troops at the Siege of Tobruk. 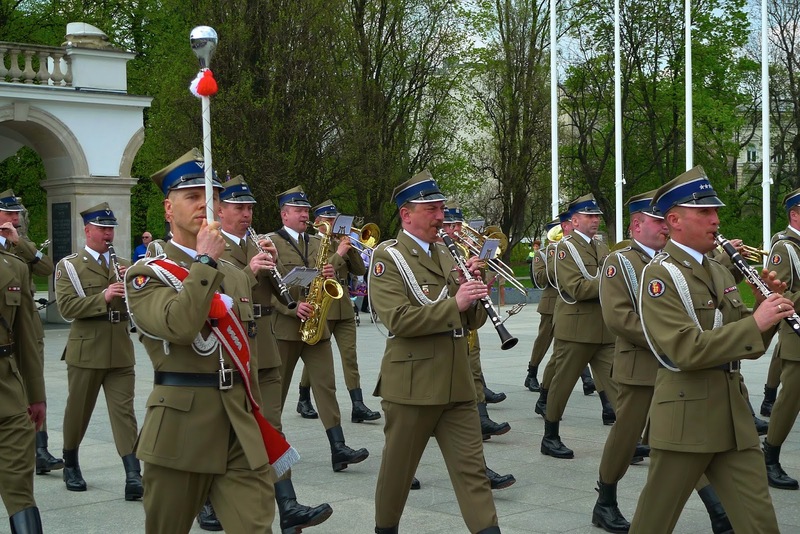 One surviving members of the Brigade took part in this year's special 100th Anniversary ceremony. 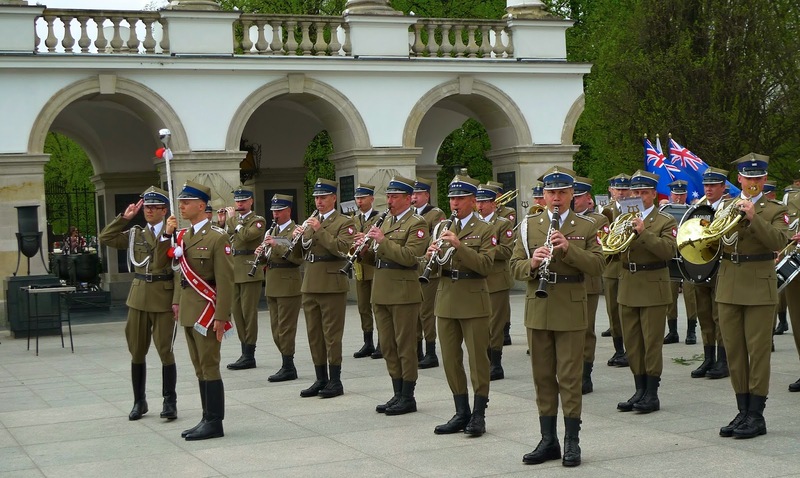 We even had a military band this year! Here are some photographs of the ceremony. 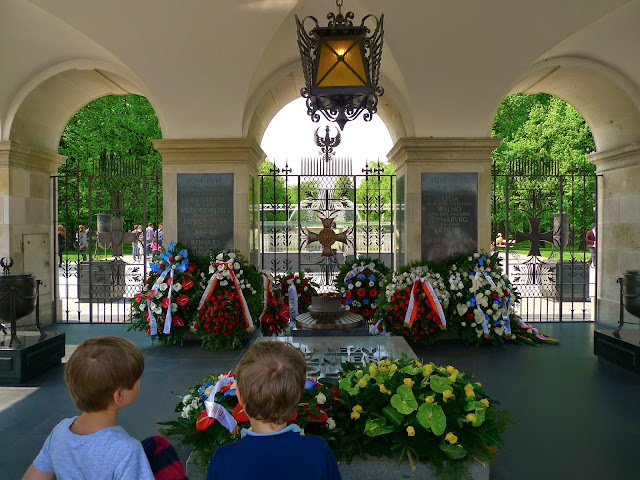 Poles are keen on detailed and accurate re-enactments and commemorations of past battles from the medieval Battle of Grunwald in 1410, through 19th century Napoleonic battles to WW II and it seems even to this commemoration. 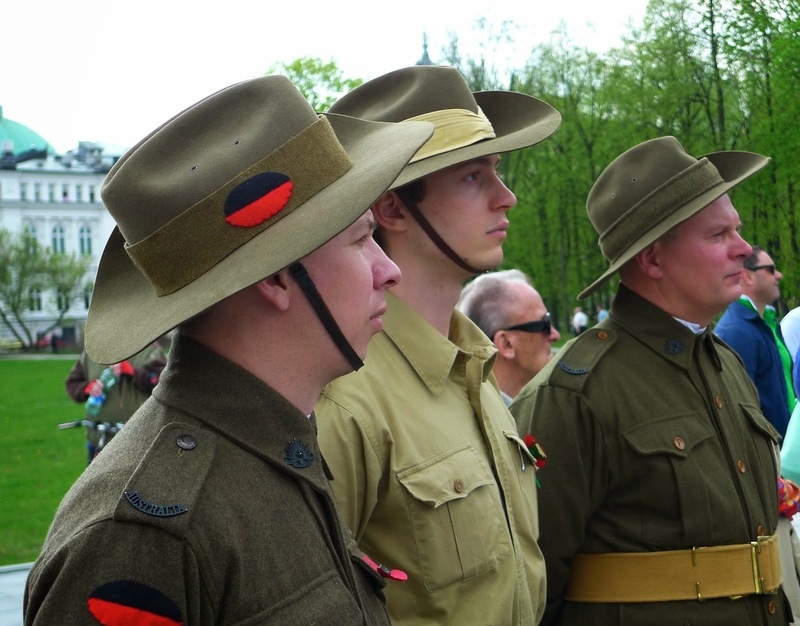 This trio are part of a Living History Group known as "Commonwealth Forces". 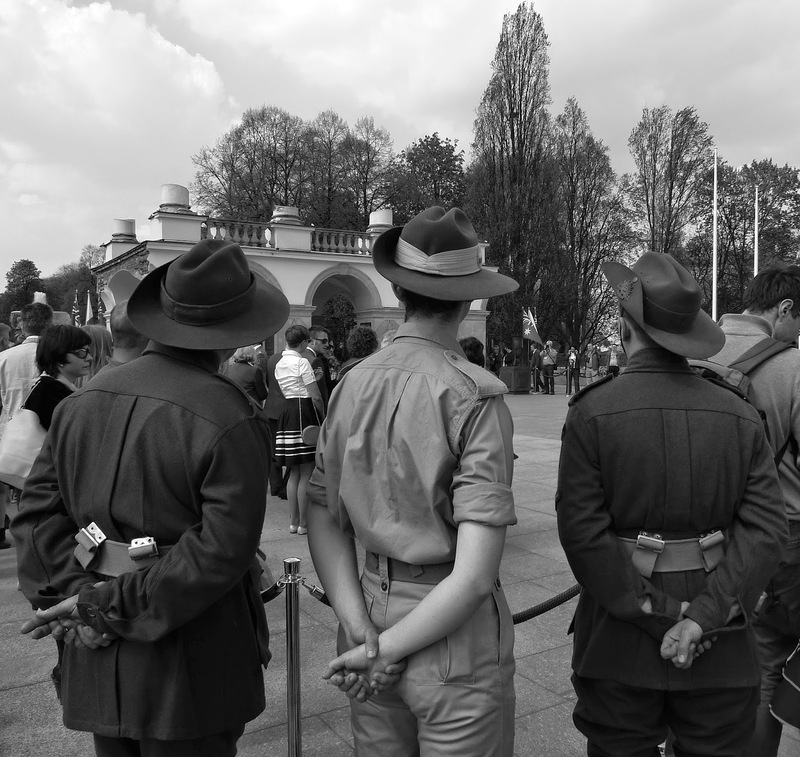 They re-enact non-British troops fighting during the both world conflicts - primarily Australian soldiers (AIF). 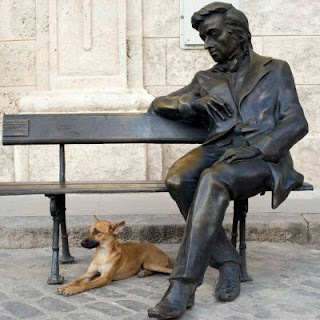 This specific interest means that the group consists of only 15 people in the whole country. 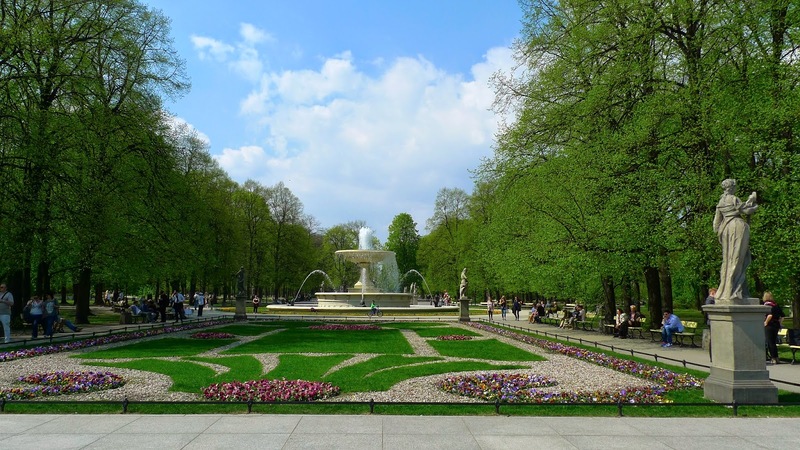 The trio came from the attractive and outstandingly musical town of Bydgoszcz. Uniforms, equipment and armament come from their own collections, vehicles from the collection of their friends. Nothing is hired from commercial outlets. 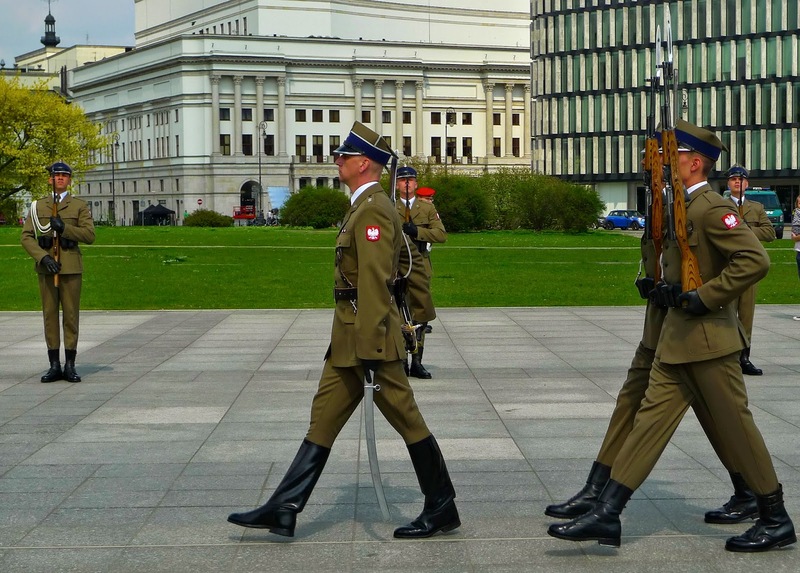 Three Polish members of the Living History Group known as "Commonwealth Forces". 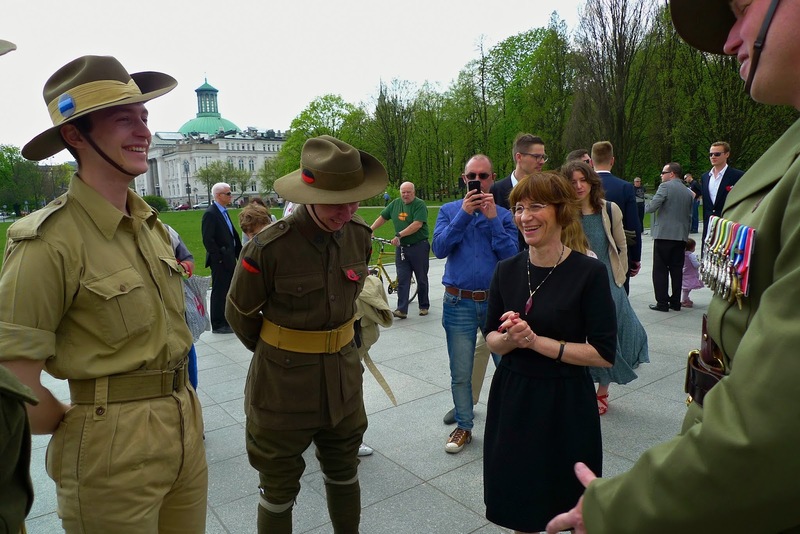 The Australian Ambassador to Poland H. E. Jean Dunn enjoys a convivial moment with three members of the Polish Living History Group 'Commonwealth Forces'. Home to watch in the evening the masterpiece Gallipoli (1981) directed by Peter Weir, a film which encapsulates everything concerning the spirit of ANZAC and many of the qualities that being an Australian male entails. As Mel Gibson who starred in it points out in an interview, a film that entertains, educates and uplifts spiritually - in short a complete work of art. Another book I discovered this year is War Dairies : A Chaplain at Gallipoli. The Great War Diaries of Kenneth Best (Imperial War Museum Publication, London 2011). These unmatched dairies have the immediacy of a movie and an unflinching candour, in particular concerning the British class distinctions that often soiled relations between officers and men. Naturally the classic account Gallipoli by Alan Moorehead (London 1956) remains the touchstone appraisal of the campaign. 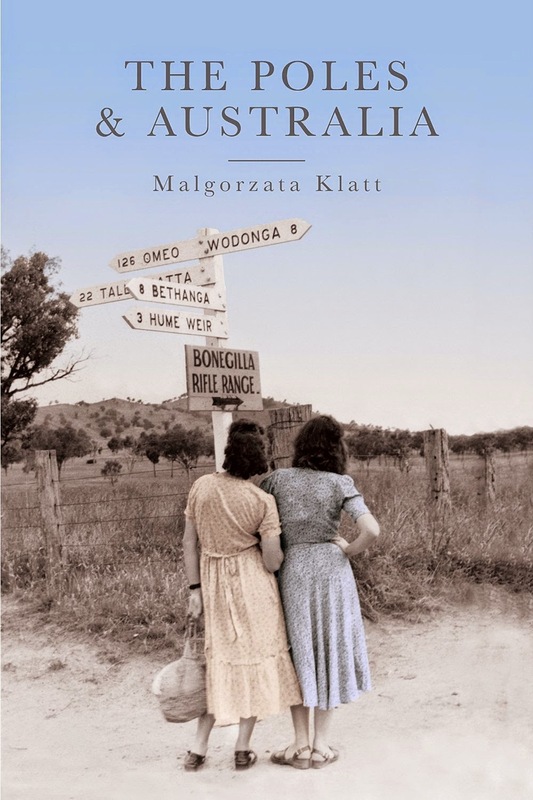 Incidentally and more generally, a recent particularly interesting and properly researched book I have just read concerns Poland and its historical relationship with Australia. Much new information to me was contained in this account.